MELBOURNE, Florida, Oct. 9, 2017 /PRNewswire/ --Fit Pay, Inc., a wholly-owned subsidiary of NXT-ID, Inc. (NASDAQ: NXTD) and provider of payment, credential management, and authentication platform services, has been selected as a finalist for the 2017 IoT Innovator Awards. The awards, which are a program of the technology industry publication IoT Innovator, recognize Internet of Things (IoT) businesses around the world that have made cutting-edge developments in key vertical markets. Fit Pay has been selected as a finalist in the "Best Cloud Platform – Consumer" category. The final winners of the awards will be announced by IoT Innovator on October 16, 2017. "We are honored Fit Pay has received this recognition by IoT Innovator – a publication with its finger on the pulse of the latest industry developments," said Gino Pereira, CEO, NXT-ID. "What's transformative in the IoT market are products that seamlessly integrate technology into peoples' lives. NXT-ID and Fit Pay are at the forefront of this movement by enabling contactless payments and authentication on a wide range of IoT devices and making the payment experience frictionless for consumers." The FitPay Payment PlatformTM is a proprietary technology platform that delivers payment, credential management, authentication and other secure services to the IoT ecosystem. The platform uses tokenization, a payment security technology that replaces cardholders' account information with a unique digital identifier (a "token"), to transact highly secure contactless payment and authentication services. FitPay leverages Embedded Secure Element (eSE) chip technology within devices to offer a payment solution that is very power and memory efficient and does not need to refresh a token once it is issued. This frees devices from needing to be tethered to a host device or connected to the Internet to transact payments, creating a superior user experience. FitPay's end-to-end payment solution allows IoT and wearable device manufacturers to add payment and authentication capabilities to their products with very little start-up time, no investment in software development and access to the leading credit card networks. Manufacturers of 15 IoT and wearable devices are currently integrating with the FitPay payment platform. 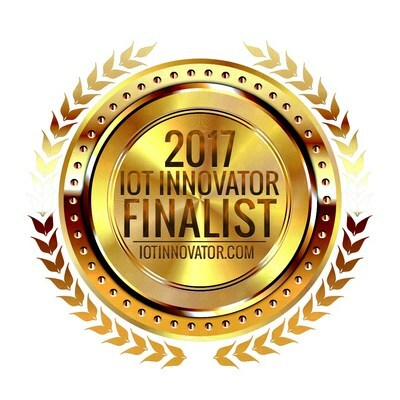 IoT Innovator is the brainchild of WestWorldWide, LLC, a venerable IT publisher that has been covering the best of IT since 1980. WestWorld's flagship and IoT Innovator's sister publication, Computer Technology Review, is one of the most respected editorial authorities in the IT industry.